A little over a week ago we converted two of our reward credit cards to, well… More rewarding versions. This included a switch from the Chase Perfect card to the Chase Freedom card, and a change from our old (old, old, old) Amex Optima card to an Amex Blue Cash card. All in all, this was a fairly painless process. I made a couple of phone calls and I was done. The only catch was that, since we were changing for a points-based reward program (Membership Rewards) to cash-based program, American Express gave us 30 days to cash in our point before they’d expire. We didn’t actually have that many points, as we’ve mostly reserved this card for major purchases for which we want to take advantage of Amex’s Buyer’s Assurance program, which doubles the manufacturer’s warranty. Nonetheless, I wanted to get what we were due. At the time of conversion, we had a little over 7500 points. Unlike Citi’s ThankYou Rewards network, American Express sells low denomination gift cards without any sort of markup. That is, American Express charges 2500 points for a $25 gift certificate, whereas the same cards typically cost 3500 point through the ThankYou Network, with prices falling to ‘face value’ for higher denominations. Given that we’re currently renovating our house, Home Depot gift cards are pretty much as good as cash, so that’s what I went with. 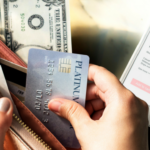 Ordering was a snap — simply login to your Amex account, follow the Membership Rewards link, and pick out what you want. And guess what? They got the cards to us within two business days — I ordered late Sunday night, so the order was technically processed on Monday and the cards were in our mailbox on Wednesday. 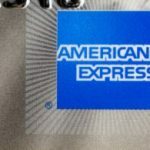 While I still prefer straight cash rewards, I’d definitely have to give American Express two thumbs up when it comes to their Membership Rewards program. What’s Your Oldest Credit Card? been an American Express using for quite some time. Not sure if I’m signed up for the points rewards program or not. Is their a fee? How do you use the points. I’ve tried calling to ask and all I get is a recording that does not apply to my question. 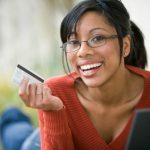 How do cash in my American Express Rewards Points for airline tickets. Wow, what a great deal. I spent only $4000 to trade those points for a Red Sox tee shirt or a Banacek-2nd Season DVD!!! My heart be still. Granted there are some really cool things available, IF you have thousands and thousands of points; for which you spent thouands of dollars AND a yearly fee. Moral of the story is redeem your points NOW before they raise the prices again and again and again. P.S. Yes, I dumped out of this program. I only have a little over 3700 points ( left ). I looked a couple of months ago ( about April 2009 ) to redeem them. I found a travel toothbrush ultraviolet sanitizer in my ‘price’ range and I’d have a few left over. I just checked again, the same item ‘costs’ almost 6000 points now!!! we want to use our points to give gift cards. how do you fi nd the list on the internet???????? i have about 350.000 points dont know what to do. Aw. I need to clean up my credit before I can apply for these awesome reward credit cards. The selection of items in AmEx’s rewards program is very limited, and seems to be getting smaller by the day. I was going to order a $50 Dell Accessories GC (w/ very restrictive terms) but just today I found it has been removed. Their restaurant choices are for run-of-the-mill chains and their electronics choices are super-inflated. If I am redeeming these ‘free’ rewards, I would prefer some high-end restaurants or something useful like gas cards!! My girlfriend’s CITI rewards has these options. I ended up getting a Home Depot GC but I still have 30k points I need to use up sometime. I believe they screw around with their program during the holidays, inflating points and removing vendors. Thanks for the AMEX tip a few months back. Got my 250 dollars worth of gift cards (home depot and restaurants) last week. I actually like using the points over cash back. Since I am on a strict budget this probably doesn’t make sense but I like feeling I am getting the free extras I had to cut out in order to save money. If I earned money rewards, honestly it would just go into savings or to pay off debt and wouldn’t be any fun. I usually choose Barnes & Noble Starbucks cards as I can sit back and know that I can get a couple free paperback books and a coffee or two and relax. I do have the Amex Costco card–and what I found a bit cheesy was I got a large promo booklet that talked about all the cool things I could buy with my rebate. It really is a shopaholic mentality. I love the Amex rewards store gift cards. I use my card all year long, then cash in my rewards points for gift cards that I give as holiday gifts. The store gift cards offer much more bang for my buck than the rewards gifts or Amex gift cards. Although selecting rewards is fun, if you’re a number/value person, you wind up doing exactly what you appeared to have done: figuring out the true value per point of each reward under consideration (been there myself). So rather than choosing solely based on preference (a true reward), you base your selection on the value of the reward per point. 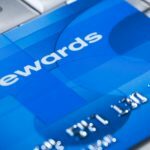 A smart financial move to be sure, but don’t you wish each reward had roughly the same value per point? That way you could just pick the one you want. No math, no fuss. After seeing so many bloggers switching we decided to do the same and ran into the same problem. Amex had the same result but WaMu was awful with their reward points. No more using that card ever again.